Grade/Visuals: EX- Vinyl see image for labels. NEAR MINT (NM) Only the very lightest visible marks on the record or label. EXCELLENT (EX): The record shows some signs of having been played, but there is very little lessening in sound quality. The label/cover has only slight imperfections. 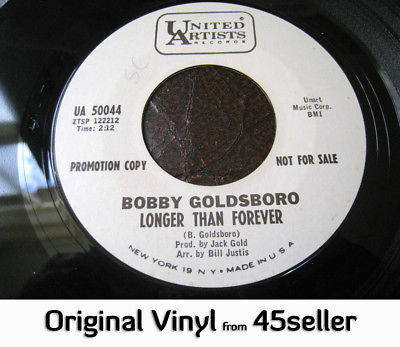 VERY GOOD (VG): The record has obviously been played many times, but is still very playable with decent sound quality, despite noticeable surface marks and the occasional light scratch. There may be some damage to the label. GOOD (G): The record has been played so much that the sound quality has noticeably deteriorated, perhaps with some distortion and scratches. The cover and contents may suffer from discolouration/damage or be defaced. POOR (P) consider this a filler until something better comes along. +/- may be added to fine tune the grading process. Grading can be a combination of visual and play, records are play graded if time permits and may benefit being cleaned - the sound file unless specifically stated is NOT from the original record, the listing will also state on the main image if the record is known to be an original. PAYMENT: strictly via PayPal only. Due to a few dishonest people all items listed over £10 must be sent using the Signed For Option. If you are a regular customer and want the lower standard rate (at your risk) just request a new invoice. Postage Options (choose when paying). Under £10 final sales value. Returns within 7 days are accepted with postage back at your expense unless the listing is deemed in error. The postal price includes packaging and all fees and all 45's are shipped with stiffeners for extra protection.